Are Fossil Fuels a Renewable or Non-renewable Energy? With increased energy demand in the form of electrical power and declining fossil fuel energy, means that Alternative Energies and environmentally friendly green fuels to power our cars are now being developed. But before we can discuss these “alternative energies” in more detail we need to understand what are fossil fuels and look at the current situation and were we are today. The modern world relies heavily on the use of energy obtained from burning fossil fuels. Without this fossil fuel energy, machines will not operate and electricity will not be generated. Electricity is needed for everything from powering the lights in our homes to running the latest high-tech, high speed rail network across the globe. Our energy consumption and requirements have been increasing rapidly during the last 250 years following the advent of the industrial revolution. About 80 per cent of the energy we today use comes from fossil fuels. The list of fossil fuels is short with the 3 fossil fuel types being coal, petroleum oil, and natural gas. We use these types of fossil fuels in enormous quantities and for good reasons. They are easily available, easy to store and easy to move around the world. The stored fossil energy within them can be quickly released through combustion for cooking, heating, and transportation. The problem with this is that fossil fuels are a finite resource, they are a non-renewable energy source, that is eventually cheap coal (that we burn to generate electricity), cheap natural gas (with which we use for cooking and to heat our homes) and cheap oil (on which our cars and lorries run) will eventually run out in the next 50 years or so. So what do we mean by “Non-renewable Energy”? Well basically, a non-renewable resource is a natural resource that has been formed by mother nature over millions of years from organic materials. 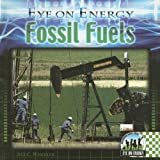 These sources of energy are generally called “fossil fuels”, but what are fossil fuels?. Fossil fuels are so called because of how they were formed. As their collective name indicates, Fossil Fuels are formed from fossils, the preserved remains of long-dead plants and animals buried deep underground. So how are fossil fuels formed. Well, over the course of hundreds of millions of years, these carbon-based organic deposits have been converted over time by the immense heat and pressure of the Earth deep underground into various fossil fuel energy sources such as petroleum oil, coal and natural gas. All fossil fuels are non-renewable energy sources that are used up at a faster rate than the natural process by which the earth can replace them. In other words, they can not be re-made or re-grown at a scale comparable to their consumption. Fossil fuels are a “non-sustainable resource”. Most of the energy resources used today to generate electricity are non-renewable with the most commonly used non-renewable energy sources being of the types known commonly as hydrocarbons. Due to oil’s relative ease of extraction, its versatility and the ease by which it can be transported and stored, oil has become the number one fossil fuel that fuels the modern world from cars, to lorries, to heating our homes and manufacturing. Oil is a combustible, thick, black liquid hydrocarbon formed naturally underground and is the result of millions of years of decomposition of plant and animal matter subjected to high pressures and temperatures deep within the Earth’s crust. No other single substance can equal the enormous impact that the use of oil has had on so many people around the world. There are many uses for oil and sooner or later these underground oil reservoirs will be completely exhausted. Although it is estimated that there is enough crude oil left for about the next 40 to 50 years within the Earth’s crust at the present pace of consumption, eventually the cost to recover those last few drops of oil deep within the Earth’s crust will be beyond the value of the oil itself. This is because crude oil is a thick, black liquid hydrocarbon that is pumped from underground up a narrow pipe to the Earth’s surface it must first be refined before we can use it as a fuel for our cars or for heating. Although oil has a high net energy yield and can be very helpful to us in many different ways, it can also be very harmful. One of the major problems associated with oil is the air pollution that it creates when burned. Oil is one of the major causes of smog which is a type of air pollution. Smog is created when oils are burned in places like power plants, industrial plants, and cars, releasing toxins such as carbon dioxide into the atmosphere and which itself is classed as a type of harmful greenhouse gas. Also oil pollution in the oceans and seas from oil leaking from our cars and other machinery which can then washed into the ocean through drains or oil spills from ships, oil tankers and oil rigs directly into the seas, can cause tremendous harm to ocean life. Coal is the most abundant fossil fuel on the planet today and is by far the cheapest source of available fossil fuel, averaging less than half the price of petroleum and natural gas. But although fossil fuel coal is very cheap, it is both dirty to burn and transport as well as being energy inefficient compared to the stored energy of oil and gas. With the invention of steam engines, fossil fuel coal became the world’s number one fuel. Although less popular today, fossil fuel coal is still burnt in power stations to produce electricity. Fossil fuel Coal is found throughout the world and there is probably enough coal within the Earth’s crust to last more than 200 years at the current rate of consumption. Coal is a solid sedimentary rock which contains combustible hydrocarbons that are burned in commercial power stations to produce electricity and in the home to produce heat. The hydrocarbons present in coal can also be extracted to form liquid and gaseous synthetic fuels. The fossil fuels coal we use today took millions of year to form from ferns, plants and swamp remains that died and started to decay at the bottom of lakes and marshes. These dead organic plants eventually formed into peat, which is another type of fuel that looks like rotten wood as the plants compressed together. Over time, high temperature and pressure turned this peat into the black coal we know today. Then fossil fuel coal took millions of year to form in the Earth’s crust, so we can not make more coal in a short period of time which is why coal is regarded as a “non-renewable energy”. Not all coal is the same. Coal is a combustible type of rock of varying hardness, moisture and mineral content producing four basic types and grades of coal. The top grade of coal is called “anthracite” which contains large amounts of carbon producing the most energy when burnt. This is the black coal we see and burn in the fires. The second type is called “bituminous” coal. This is a lower quality coal used in industry to produce coking coal for use in blast furnaces and the like. With less carbon than the bituminous coal and the least rich in both carbon and energy content is “lignite” coal. Lignite is a brown coloured coal which is mixed with other forms for use in power stations. One other type of coal we can also mention here is “graphite”. Mineral graphite is a higher quality grade of coal better than anthracite consisting mainly of carbon. Although it is not normally used as fuel because it is hard to ignite, graphite is used for making pencils and electrical components due to its ability to conduct electricity. Almost all of the coal in the world is buried deep under the ground. As coal is a fossil fuel made from layers of plants that were once alive, the layers of coal within the Earth’s crust are called “seams” and since coal is found in a solid form these seams must be excavated by digging or mining. If the coal seam is near the surface it can be removed by open-pit or surface mining. If the coal seam is buried deep in the ground, long tunnels called mine shafts are required to extract the coal. Once the coal is mined it is cleaned and sent by trains and lorries to power plants and factories. The main use of coal today is in the production of electricity. Power plants burn the coal to make the electricity. However, coal is a highly polluting energy source. When coal is burnt it pollutes the atmosphere producing acid rain (sulphur dioxide, SO2) and global warming (carbon dioxide, CO2) and is the single biggest air polluter in all the coal-burning countries. To help ease these environmental factors, the coal is cleaned before it is burnt and large scrubbers are used to clean the smoke and capture the harmful greenhouse gases before it is released into the atmosphere. To overcome some of the environmental concerns about burning coal, clean coal burning power plants and high taxation on CO2 emissions by dirty power plants have helped reduce the pollution. Also coal mining has a negative environmental impact on the landscape and environment as large mounds of earth are formed by the spoil generated form digging the rock and soil from the underground coal seams. Open-pit coal mines produce large holes and vast open pits in the landscape with the complete removal of trees, forests and even mountains to mine the coal. Natural Gas (NG) is a highly flammable gaseous hydrocarbon type of fossil fuel that often forms with coal, and since natural gas is lighter than coal it generally forms above the coal seams. Raw fossil fuels gas is a mixture of different hydrocarbon gases but the main ingredient in natural gas is methane, a natural compound that is formed whenever plant and animal matter decays. Methane (CH4) is a colourless, odourless, tasteless gas which is composed of one carbon atom and four hydrogen atoms. Natural gas is therefore a non-renewable fossil fuel that is pumped up a narrow pipes to the surface were it is stored in large storage tanks or underground in old gas wells. Natural gas is a domestically available, clean-burning fuel used mainly for heating and cooking and as a safety measure chemical odorants such as mercaptan are added so any escaping gas can be detected by its distinctive smell of rotten eggs. Natural gas burns more cleanly than oil and coal and has fewer emissions of sulphur, carbon and nitrogen when burned. Being a clean combustible burning fuel is one of the main reason that the use of natural gas, especially for electricity generation, has grown so much over the last decade or so and is expected to grow even more in the future. However, fossil fuels gas is not a viable replacement for oil or coal as it is harder to transport and store making it more of a regional fuel. Also because natural gas can be compressed into a liquid, it can be used as an alternative fuel for cars and vans storing more energy in a smaller volume than conventional gasoline. Natural gas can be used in the form of compressed natural gas (CNG) and liquefied natural gas (LNG) as a transportation fuel but natural gas vehicles require special modifications to safely transport the high pressure gas. Like the previous two fossil fuels, greenhouse gases in the form of carbon dioxide (CO2) and sulphur dioxide (SO2) are released into the atmosphere from burning fossil fuels gas, but unlike oil and coal burning natural gas produces much less of these harmful gases making it a much cleaner fossil fuel. Although not technically a fossil fuel, nuclear energy can also be classed as a non-renewable energy source because it uses Uranium-235. Uranium-235 or U-235, so called because each atom consists of 92 protons and 143 neutrons, is an exceptional heavy metallic element used as a fuel due to its abundant source of concentrated energy. As there is only a limited amount of Uranium available globally it is considered by many scientists as a non-renewable energy source, because once it is used it is gone (although Thorium could be used to replace Uranium). Uranium is a natural occurring ore in the earth crust and once mined, just like fossil fuels, uranium-235 must be extracted from it and specially processed before it can be used as a nuclear fuel. Nuclear energy is energy in the nucleus (core) of an atom and uranium-235 produces energy from a process known as nuclear fission, also called “splitting the atom”. Nuclear fission releases energy much more efficiently which is then used to heat water, which in turn produces steam that is used to drive turbines to produce electricity. Compared to electricity generated by burning fossil fuels, nuclear energy is cleaner. Nuclear power plants do not produce emissions, carbon dioxide or other forms of air pollutants that are formed from burning fossil fuels, only small amounts of pollutants are generated from processing (enriching) the uranium to be made into fuel rods for use in nuclear reactors. Then nuclear power stations are more environmentally friendly and cleaner than conventional oil or coal fired power stations. However, nuclear energy is not without controversy or problems. Nuclear power plants are relatively safe when operating but accidents could be catastrophic (Chernobyl or Japan’s Fukushima nuclear plant). But the major disadvantage of nuclear power plants is that they produce highly radioactive waste as a by-product of the process of splitting the atom, spent (used) fuels, other radioactive waste, and heat. Spent fuels and other radioactive wastes must be stored and contained for 10’s of thousands of years and nobody knows what may happen to these sites in the future. All nuclear power plants only have an operating life of about 30 to 40 years so must then be “decommissioned”, or taken apart in a systematic and careful way to avoid contaminating the surrounding environment. Also, thermal pollution by the water used to cool reactor gets returned back to the natural water system flowing in lakes and rivers and back to the ocean. So what we can say is that by burning massive quantities of fossil fuels to generate electricity or for heating is to release thousands of tons of hydrocarbons and pollutants in the form of gases into the atmosphere, which have been stored for millions of years in the sub-soil. We have discussed above the main 3 fossil fuel types used for electricity generation, cooking and heating. At current or increased rates of production, fossil fuel oil and natural gas will be gone in 50 years or so with the price per unit increasing long before that. The burning of carbon containing fossil fuels generate large amounts of harmful gases and pollutants to the atmosphere resulting in global warming and climate change due to the greenhouse gases: carbon dioxide, methane, and nitrous oxide. Energy conservation by reducing the use of electricity and gas in the home and workplace. Reduce our current oil consumption and waste by driving less or at slower speeds. Look for more ways to reduce our use of fossil fuels and waste. Use other forms of alternative energy sources. The increased energy demand, depleting fossil fuel resources and growing environmental pollution have led the world to think seriously about other alternative sources of new energy. The basic concept of alternative energy relates to issues of sustainability, renewability and pollution reduction. In reality alternative energy means anything other than deriving energy via fossil fuel combustion. Finding ways to reduce fossil fuel usage and greenhouse gas emissions while producing enough energy to support economic development worldwide is a major challenge. Now that we know “what are fossil fuels”, we can define fossil fuels by the simple expression of “here today, gone tomorrow“. There are a variety of new alternative energy sources including solar and wind generation we can take advantage of today to reduce our dependence upon fossil fuel energy. In the next tutorial about Alternative Energy we will discuss and look at ways of promoting the use of new energy sources.